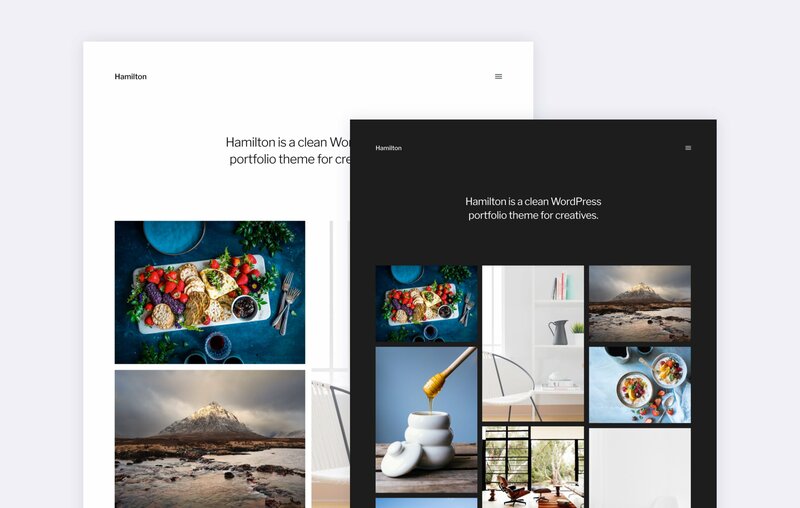 Hamilton is a minimal portfolio theme built with photographers, illustrators, designers and other creative people in mind. I took a couple of days of my vacation this summer to submit another free WordPress theme to the WordPress.org theme repository. The theme is called Hamilton, because it’s a name that looks pretty nice when set in Franklin Gothic, and it’s a grid-based theme with a heavy image focus. 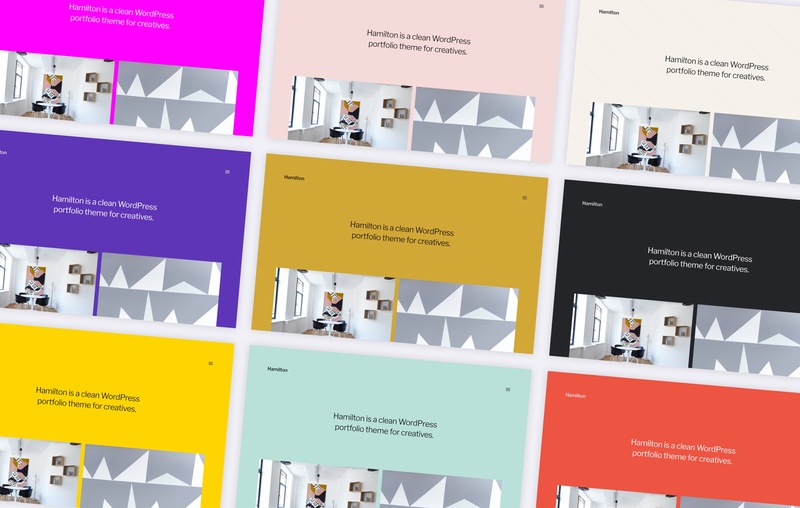 It’s built to be a good fit for anyone who has a lot of imagery on their site – photographers, illustrators, graphic designer, etcetera. It can also be used as a regular blog theme on blogs with a lot of pictures. Hamilton has a pretty simple design at its core, so when it was more or less finished, I decided to add a couple of fun theme options to make it more customizable. The main one is the Dark Mode. With a click of the mouse in the WordPress Customizer, you can change Hamilton from dark text on a white background to white text on a dark background. Combined with the custom background color setting, Hamilton can be set to use whatever background color you want. You can also set a transparent background pattern on top of that color to do some really interesting stuff. Some of the possible color combinations in Hamilton. All of the options are handled through the WordPress customizer. Hamilton has been a fun theme to build, and I’m looking forward to see what people use it for. It will probably take one to two months for it to get through the WordPress theme review process. I’m guessing that the wait will end up being closer to two months, since I’ve probably messed up a couple of the requirements added since my last submission to the repository. On a side note, one to two months in the review queue is a lot faster than the review process has been previously. It’s been great to see the amount of progress that has been made in just the past year. Kudos to the WordPress Theme Review Team for the awesome job they’re doing. Update: Hamilton is now live on WordPress.org.